Sali Shoshi is a Kosovan architect who has worked in the preservation of Kosovo’s cultural heritage for over 15 years. The idea for Catun — a variation on the word “village” in Albanian — came as Shoshi was biking between the various historical buildings he was working to restore. 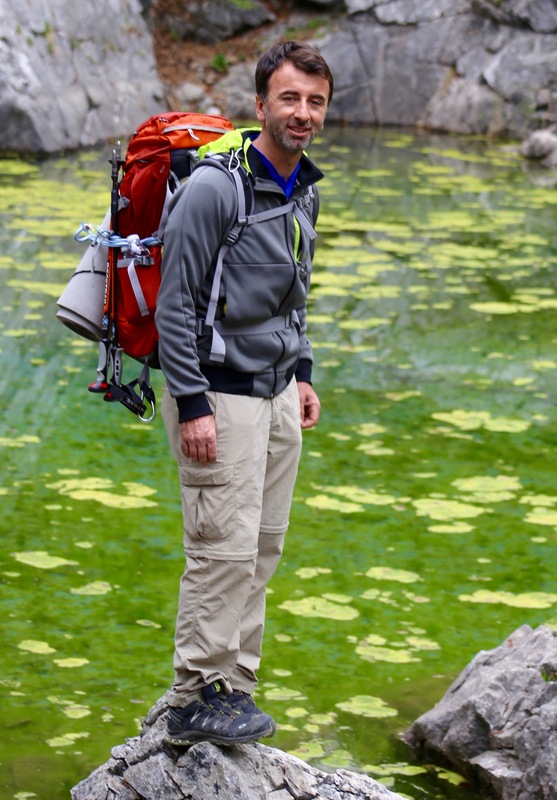 He realized that with his own tour company, he could share his passions for the region’s history, architecture, and culture while taking visitors on hikes and bike rides through its beautiful countryside. Shoshi invites his guests to follow trails that have been trodden for centuries and learn about the transformation, contradictions, and hopes of the people of Kosovo and Albania. Share in their good humor and hospitality and learn the history of a region that is as old as humanity. Catun – Adventure in the Balkans was founded to share the big stories of some of the Balkans’ smallest countries. Kosovo and Albania may not yet be tourist hotspots, but after a visit with us you will see why it’s only a matter of time before the secret of their incredible beauty and rich, welcoming culture replace the whispers of their complex pasts. With Catun, you will have the opportunity to explore the region’s high alpine peaks and experience the summer kiss of the Mediterranean sun, all while hiking and biking across some truly historic routes. Come with us and experience for yourself the famed hospitality of the region, as you share a Turkish coffee and listen to the stories of its people — from the simple and relatable to the extraordinary and mythic. We dare you not to be changed after your adventure in the Balkans with Catun.